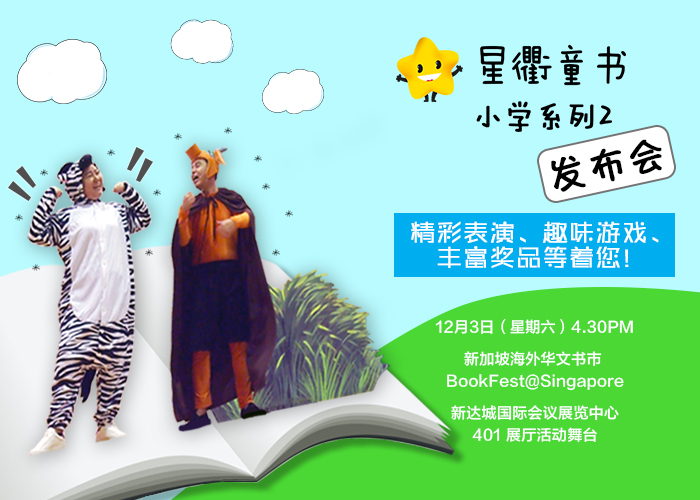 Sing Chu Children’s Collection 2 Book Launch Party is happening on 3 Dec 2016, 4.30pm at Suntec City Convention and Exhibition Centre, Hall 401 Stage Area. Join us for exciting afternoon, with special performance by Arts Theatre of Singapore, fun games and attractive prizes waiting to be won. Continuing our success with Sing Chu Children’s Collection Series 1 in 2015, we are proud to introduce Sing Chu Children’s Collection Series 2.Specially designed for the primary students in Singapore, the collection consists of four different themed story books, each book containing four short stories, and its content has been appraised by the educational specialists in the Singapore Centre for Chinese Language (SCCL).